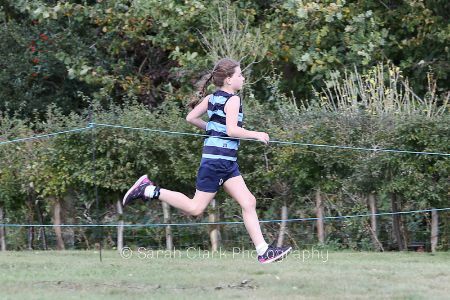 Conditions were perfect for this year's Brenchley Relay, with two significant changes adding to the event. 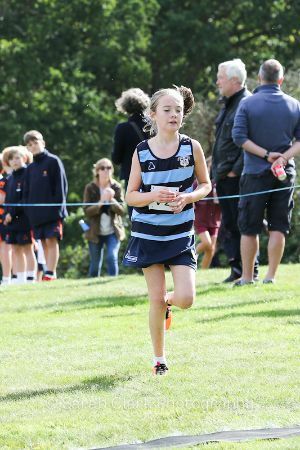 Whilst the Y5/6 course remained unchanged (1.6km), the Y7/8 runners were treated to an extra loop of 500m through Tongswood, a steep incline of 100m taxing legs already fatigued from the climb from the Gulch. 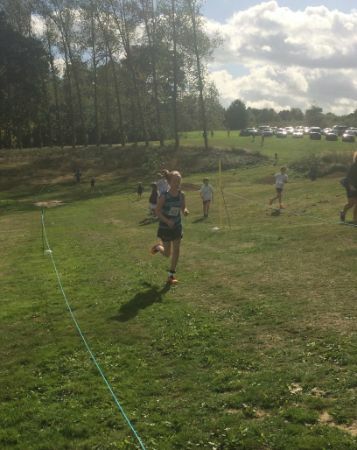 The addition of chip timing meant that spectators and runners could see how each individual performance affected the team position, and timed results were available as soon as the race finished! The SRS girls' teams finished fifth and ninth of the eleven who started, Millie DH and Bea W recording the third fastest times in their year groups. 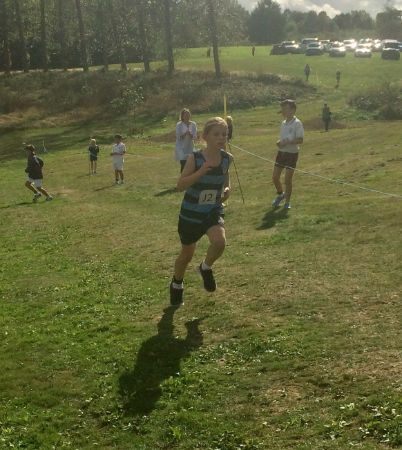 The boys' team came fourth and seventh of fifteen with Charlie E winning the trophy for the fastest leg in the U13 age group. Saint Ronan's finished second overall, behind DCPS but ahead of Sevenoaks Prep. Individual places and times appear below, congratulations going to all the athletes, with special mention for Freya G who replaced a poorly Hope R, and Arthur VDB who stepped in at the last minute to run for New Beacon. 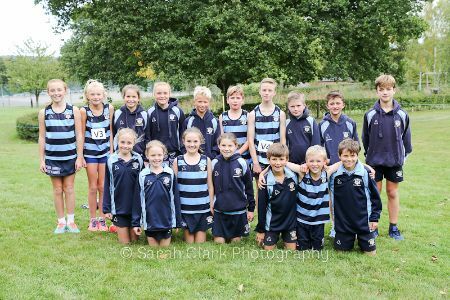 An excellent start to the Cross Country season!